Used to fix a timber newel post to a floor without lifting floor boards or to fix to a concrete floor. Screws through the floorboards and into the joist underneath or set into concrete for a really secure fix. 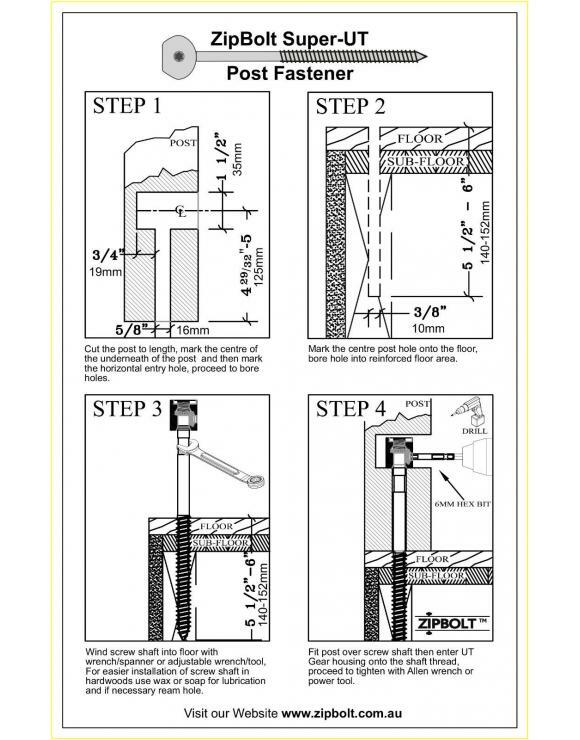 For more information on Newel Post Fixing, please check out our guide on how to fix a Newel Post to a Handrail. Comes with the components and Hex key bit needed fix the newel post to the floor.